Sure, it's easier than ever now to choose so-called "responsible down"—that is, feathers from birds that haven't been subjected to “unnecessary harm,” such as force-feeding or live-plucking. 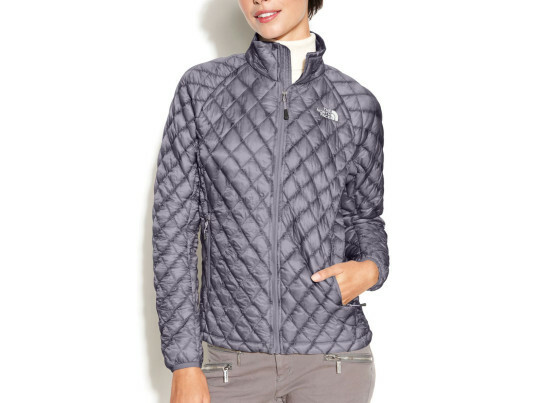 More than 40 outdoor, apparel, and home industries have embraced the "Responsible Down Standard", a set of third-party-certified animal-welfare protocols initiated by The North Face and managed by the nonprofit Textile Exchange. Patagonia has also switched to traceable down, authenticated through a “holistic” audit that includes physical inspections by independent experts. But down isn't the only name in the insulation game. Cruelty-free options abound, such as the "Emmy" by Vaute. Constructed in New York City from 100 percent recycled closed-loop ripstop and stuffed with 200-gram PrimaLoft Eco, the A-line topper is ready to brave any weather. Take a gander at our other no-goose selections. The vegan’s answer to Canada Goose, Mammoth Outewear uses synthetic PrimaLoft Gold Insulation to mimic the packability, warmth, and softness of goose down. 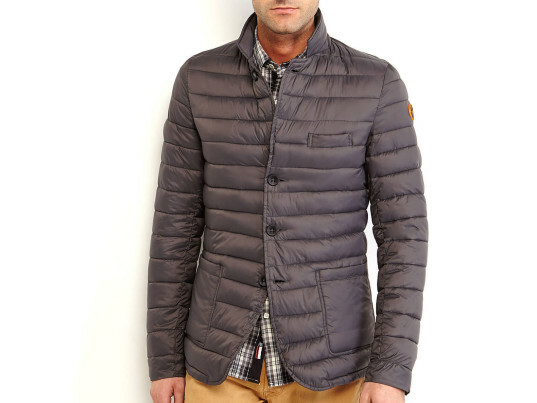 The Toronto-based company, which produces its coats domestically, is also keen to spread the warmth around. For every jacket purchased, $10 goes to help the Association for the Protection of Fur-Bearing Animals abolish the commercial fur trade. Personalized climate control, anyone? 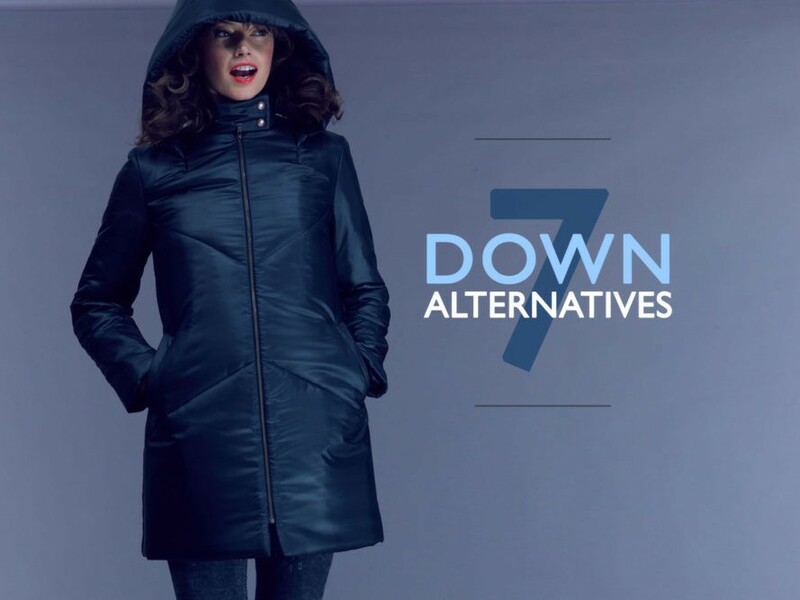 With NuDown’s line of inflatable jackets and vests, adjusting your internal thermostat is as easy as squeezing a pump. In lieu of conventional insulation, the Reno, Nev. company uses a system of air chambers to capture and store body heat. A pocket-sized bulb, stowable when not in use, controls the amount of air that buffers against the chill. The North Face isn’t giving up on traditional down just yet, but the outdoor-apparel company also teamed up with the makers of PrimaLoft to develop “Thermoball,” an animal-free alternative that uses small, round fiber clusters to trap heat within minuscule air pockets. Independent testing conducted by Kansas State University graded ThermoBall with the equivalent warmth of 600-fill goose down. Patagonia’s “Nano Puff” line of jackets combines a recycled polyester shell, derived from post-consumer plastic bottles, with ultrafine PrimaLoft Gold fibers that create a tight, water-resistant barrier. Despite its synthetic nature, the insulation shares many properties with natural down, including its compressibility, breathability, and durability. 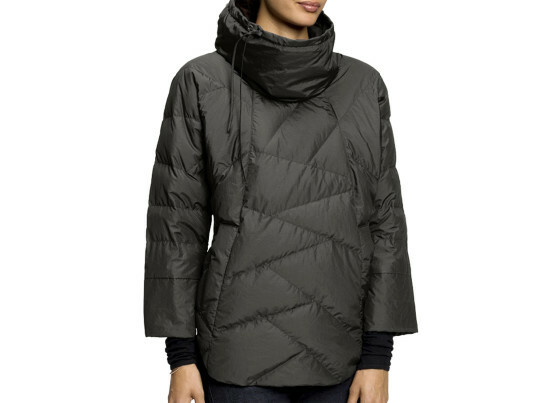 It’ll even retain 85 percent of its insulation value in the event of a soaking, according to Patagonia. This one’s a bit of a cheat,. While Nau continues to use duck and goose down, it also offers a collection of outerwear that repurposes feathers from post-consumer duvets, pillows, and blankets. (Translation: No new animals were harmed in the process.) All collected down is quality-checked, sorted, cleaned, and sterilized just like virgin down. The resulting 650-fill power blend of goose and duck down maintains the same weight, quality, and insulation properties as its straight-from-the-waterfowl counterpart. The vegan's answer to Canada Goose, Mammoth Outewear uses synthetic PrimaLoft Gold Insulation to mimic the packability, warmth, and softness of goose down. 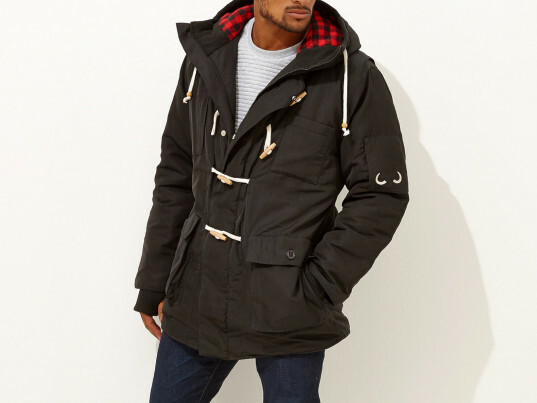 The Toronto-based company, which produces its coats domestically, is also keen to spread the warmth around. For every jacket purchased, $10 goes to help the Association for the Protection of Fur-Bearing Animals abolish the commercial fur trade. Personalized climate control, anyone? With NuDown's line of inflatable jackets and vests, adjusting your internal thermostat is as easy as squeezing a pump. In lieu of conventional insulation, the Reno, Nev. company uses a system of air chambers to capture and store body heat. A pocket-sized bulb, stowable when not in use, controls the amount of air that buffers against the chill. The North Face isn't giving up on traditional down just yet, but the outdoor-apparel company also teamed up with the makers of PrimaLoft to develop "Thermoball," an animal-free alternative that uses small, round fiber clusters to trap heat within minuscule air pockets. Independent testing conducted by Kansas State University graded ThermoBall with the equivalent warmth of 600-fill goose down. Patagonia's "Nano Puff" line of jackets combines a recycled polyester shell, derived from post-consumer plastic bottles, with ultrafine PrimaLoft Gold fibers that create a tight, water-resistant barrier. Despite its synthetic nature, the insulation shares many properties with natural down, including its compressibility, breathability, and durability. 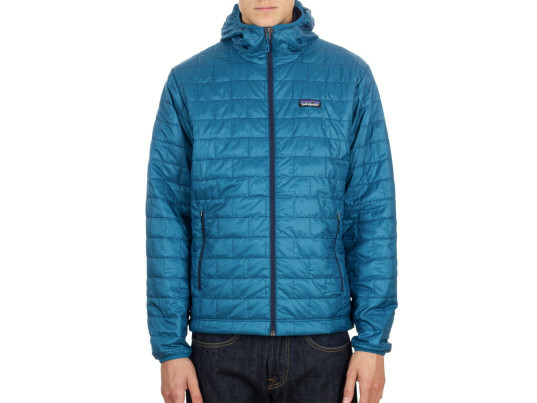 It'll even retain 85 percent of its insulation value in the event of a soaking, according to Patagonia. 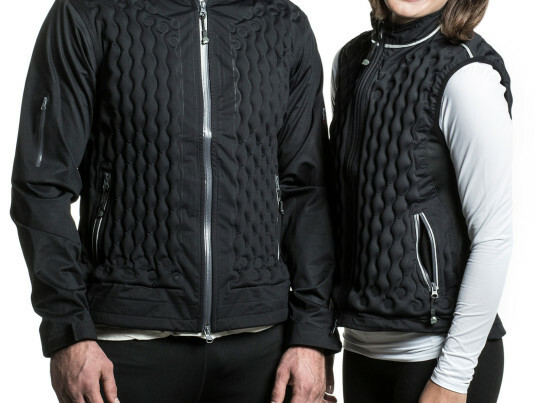 Save the Duck recently snagged People for the Ethical Treatment of Animals' "Innovator for Animals" award for its down-mimicking "Plumtech" technology, which offers superior thermal insulation even when wet. It's also made with recycled polyester, allowing for light garments that boast an equally light environmental footprint. "As Save the Duck has proved, modern synthetics are far exceeding down's capabilities," PETA senior vice president Dan Mathews said in a statement. "PETA's award recognizes this company's innovative, forward-thinking contribution to a market eager to phase out cruel models of the past." This one's a bit of a cheat, which strict vegans may wish to skip. While Nau continues to use duck and goose down, it also offers a collection of outerwear that repurposes feathers from post-consumer duvets, pillows, and blankets. (Translation: No new animals were harmed in the process.) All collected down is quality-checked, sorted, cleaned, and sterilized just like virgin down. The resulting 650-fill power blend of goose and duck down maintains the same weight, quality, and insulation properties as its straight-from-the-waterfowl counterpart.